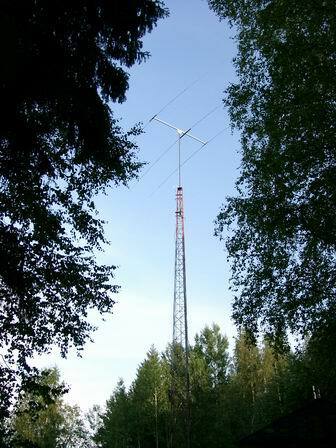 3-element beam for 25 meter band on 20 meter height. 48 meter dipole is about 9 meter from ground. Frequence range of antenna is 5735 - 6340 kHz ( SWR below 2.0 ) Actually usable frequence range of the antenna is almost 50% wider than bandwidth of traditional "wire" dipole. 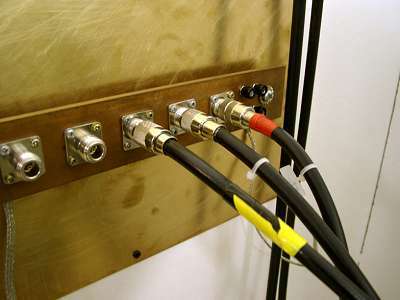 Between broadcasts antennas were connected to the ground with copperrail.